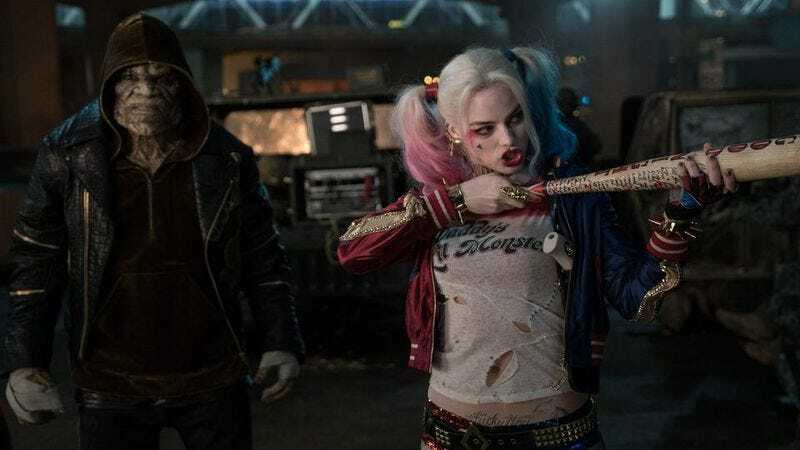 Back in May, we reported that Suicide Squad star Margot Robbie had secretly pitched Warner Bros. and DC on an all-female superhero movie that would feature her reprising her role as Harley Quinn and teaming up with an unnamed assortment of heroes/villains. At the time, the rumor was that this project would be based around the Birds Of Prey and feature Batgirl in some capacity, but it was all very secret. A more recent report suggested that the Birds Of Prey angle was legitimate, but now it looks like that was incorrect. The Hollywood Reporter says the project is actually Gotham City Sirens, and it’s moving forward with Suicide Squad’s David Ayer back in the director’s chair and a script from Geneva Robertson-Dworet (who worked on the Tomb Raider reboot and the next Sherlock Holmes movie). Named after a comic series that usually focuses on some of Batman’s female villains, the Gotham City Sirens movie will reportedly feature Harley Quinn, Catwoman, and Poison Ivy, but any characters beyond that—including any members of the Bat-family—are unknown. Suicide Squad got largely mediocre reviews, but it’s thrilling combination of Hot Topic aesthetics and a Hot Topic tone made it a hit with dedicated superhero fans who don’t especially care about anything other than seeing Margot Robbie beat people up while dressed like Harley Quinn. That should make Gotham City Sirens a pretty safe bet for Warner Bros., then.